UPDATED: Sun., Sept. 10, 2017, 10:52 p.m.
PULLMAN – The Ed Haskins influence may already be taking hold for the Washington State basketball team. 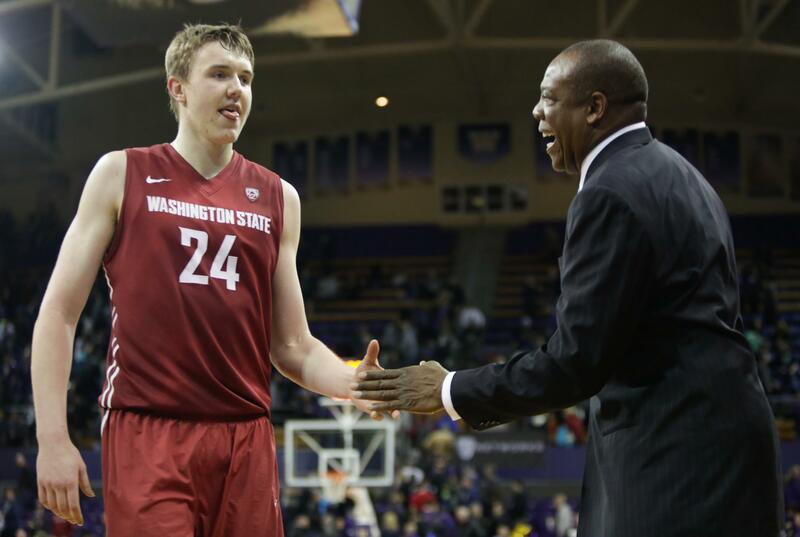 Ernie Kent brought in the former Garfield High coach to help the Cougars better recruit the Puget Sound, and on Saturday, WSU got a verbal commitment from Seattle small forward CJ Elleby of Cleveland High. Elleby reportedly has offers from both of the Division I programs in his home town – Washington and Seattle U – in addition to Pepperdine and Santa Clara. Elleby, a 6-6 lefty, is the son of former Garfield and Cal basketball player Bill Elleby. Bill is in charge of the Seattle Basketball Services scouting service. Published: Sept. 10, 2017, 1:02 p.m. Updated: Sept. 10, 2017, 10:52 p.m.